Fix Your Plumbing Emergency Now! Speak To A Licensed Plumber Today! We have a representative to answer your call. Call us now for free quotes! We've been the top rated plumber in San Diego for 3 years straight. Are you looking for an emergency plumber in the San Diego area? Well look no further. Our team of highly trained plumbers specialize in emergency plumbing problems. We strive to be get the plumbing problem fixed as soon as possible. We service various types of plumbing issues such as leak detection, sewer repair, snake inspection, unclogging drains and much more. If you are unfortunate enough to be dealing with a broken pipe, water leak, clogged up toilet, blocked pipe, broken hot water system, etc, you should seriously consider calling our emergency plumbers in San Diego to solve your plumbing problem. Our highly reputable plumbing services are available to homeowners in the San Diego at affordable rates. We know how much people hate struggling with numerous plumbing issues at home and this is why our main objective is to offer quality and affordable emergency plumbing services in San Diego, California. Getting the job done on the first visit is our main goal. We never leave a job site without the job complete. Our highly trained and experienced plumbers can fix a wide range of residential plumbing problems. So if you’re your ceiling is suddenly leaking water all over your posh seats or a pipe just decided to burst on you at 4am in the morning, our professional plumbers are always ready to jump into action. It is a well-known fact that plumbing problems can occur at the most inconvenient times. People tend to forget about the intricate plumbing infrastructures hidden in the structures of their houses and apartments until the day something goes wrong. This is when you remember that at a certain pipe runs over your living room ceiling or your bathtub is directly above your children’s room. When disaster strikes, it does not give any warning. Our professional plumbers in San Diego are well aware of this. We offer a 24/7 plumbing emergency service to the people of San Diego. Our services can be availed at any given time of the day or night. You do not have to worry about waking us up as we are ready to come to your rescue on demand. Homeowners are nowadays very keen on the cost of undertaking any home improvement or repair project. No one wants to spend a huge sum of money on plumbing repairs. We are conscious of this fact and this is why we charge our clients depending on the nature of the job to be done and not by the number of hours we will take to complete the job. Hour based charging can greatly augment your plumbing repair or installation bill for no good reason. The first step we take in determine the cost of any plumbing repair or installation job is to do an in-home estimate. We offer a 100% free in-home estimate to all our esteemed clients in San Diego. We know that most clients prefer knowing the cost of doing a repair before making the decision to go ahead with the subject repair work. We also pride ourselves in offering extremely fast and reliable services. By fast, we mean exactly that! We can get to the scene of the fix within minutes and contain any kind of water damage that may be taking place. We are swift, prompt and highly decisive when it comes to tackling a wide range of residential plumbing problems. Emergency plumbing situations are usually very time sensitive and any delay in response can lead to serious damage to your residential property. Therefore, it is very important that you contact us immediately you notice any plumbing problem at home or in your apartment before the worst happens. Our services are also very reliable and you can always count on us to offer the best possible service whether it is plumbing repair or installation. Our plumbers are trained to be modest and friendly so that they can engage and interact with customers effectively. We have an excellent track record after servicing many homes in San Diego and leaving many people with smiles on their faces. Find all of the emergency plumber finder locations here. Your plumbing needs are our main priority. This is why we aim at offering a wide variety of services to our esteemed clients in San Diego. Some of the common plumbing services we offer include plumbing installation, plumbing repair, leak detection, sewer repair, drain cleaning, clogged toilets and many more. 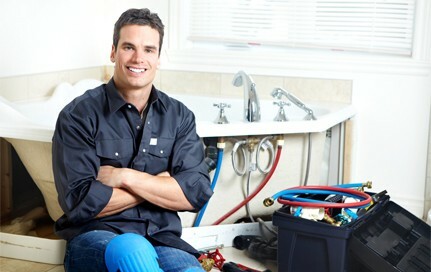 All our services are affordable so you do not have to worry about incurring huge plumbing repair or installation bills. So why suffer alone when you can have professional emergency plumbers like us swoop in to help you out? It’s the middle of the night, and you suddenly hear the sound of a drip-drop coming somewhere from your bathroom. Then you realize, the drip-drops are sounding a little faster. You get up and rush to the bathroom to find it in the process of flooding! Water is pooling around your toilet and spreading across the tile, but it’s almost midnight. Who’s going to be available to fix this problem fast? The leak isn’t going to fix itself. That’s why you need San Diego Plumbers. As a 24/7 plumbing service, we know that plumbing problems don’t follow a schedule and don’t care for the time of day. That’s why we’ll be ready to fix the problem whenever it happens. And what’s more, when you give us a call, we’ll give you a 100% free quote, so you won’t have to worry about spending money just to find the right plumber to come fix the problem. As a five-star rated plumbing service, we’re confident that you’ll like our service and professionalism. We know that when a plumbing problem happens, that time is of the essence. The longer a plumbing problem goes on for, the more damage that it can cause. We provide fast and reliable service, with our plumbers able to reach your location in quick time so that the water damage can be contained, and the source of the problem found and fixed. We understand urgency. So, if a problem occurs, don’t hesitate to give us a call. The sooner the problem is fixed, the better! Plumbing problems don’t check calendars before they strike. And that’s why not only are we available 24/7, but we’re available all 365 days of the year. No matter when the problem arises in the San Diego area, we’ll be there to take care of it. When you think of a clogged drain, what do you normally think of? Probably a commercial drain cleaning product that you can buy from the nearby store. And while those usually work for minor cases, using them too much can actually harm your drains. With San Diego Plumbers, we use high-pressure hydro jets to blast away the clogs in your drains to not only effectively clear your drain but to also preserve the structural integrity of your drain pipes. Keep your drains clean and clear while also helping them last longer! Whether you suspect that there’s a leak or you just want to have a professional plumber come back to check for them as a part of regular maintenance, it is always good to have a plumber perform some leak detection. Leaks can be costly to your water bill as well as to the environment. Did you know that leaks contribute to thousands of gallons being wasted every year? Not every leak has the sound of drip-drop, so let a professional help find these out and put a stop to them. Save some money while saving useable water! There are a lot of plumbing issues that can arise and knowing how to identify them can help you greatly in not just catching a plumbing problem, but it could save you money by preventing further damage from being done. Here are some common plumbing problems and signs to look out for. All pipes eventually fall prey to corrosion. When a pipe eventually springs a leak, you might notice water dripping onto the floor from a pipe above, or maybe water trickling down the side of your side or toilet. This is just the beginning, and eventually it will get worse. The best course of action is to contact your local plumber and get it fixed before it gets worse and causes any permanent damage beyond a wet floor. By taking care of the problem early, you save yourself time, money, and stress. Burst pipes are one of the worst scenarios you could encounter in plumbing problems. Depending on where the pipe is, it could cause damage to your walls, your house’s infrastructure, or even to your furniture. If this ever occurs, turn off your water supply and call San Diego Plumbers immediately for 24/7 service to promptly fix it and avert any further damages. Maybe your faucet falters a bit when you turn it on to wash your hands. Or maybe your shower just doesn’t seem to be as strong as it used to be. You might be experience low water pressure. This can be caused by leaks in your pipes, or even a burst pipe somewhere. But also, it can be due to blockages and sediment deposits that are causing the water to not flow as freely. This should be taken seriously. Low pressure means that the water has to push harder to get to you, and that means extra stress on your pipes. Do you smell something really bad coming from your drains? Are you seeing bubbles coming out of your shower and sink drains when they’re draining? Have all of your drains simultaneously started backing up? You might have a serious issue going on with your sewer system. To prevent terrible messes and damages, make sure to call a professional plumber immediately. Sewer system backups can also cause raw sewage to flow back into your sinks and tubs, creating a dangerous health hazard. Whether you need plumbing maintenance or have a plumbing emergency, you can’t afford to let a plumbing problem stand for long. That’s why San Diego Plumbers is here as your 24/7 plumbing solution. Plumbing problems can take so much out of your time and money. But with our fast and reliable service, we can save you that time, and save you money by stopping the problem before it gets worse. Whether it’s a common drain clog, a leaky water heater, or you need sewer lines repaired—San Diego Plumbers is here.